It is hot. Like, bad hot. While it’s still technically “Spring”, it’s been Summer weather here in Sunny Florida for a while. We are constantly trying to beat the heat. I made a fun, healthy treat this week that was both delicious and heat-beating (yes, that’s a thing). 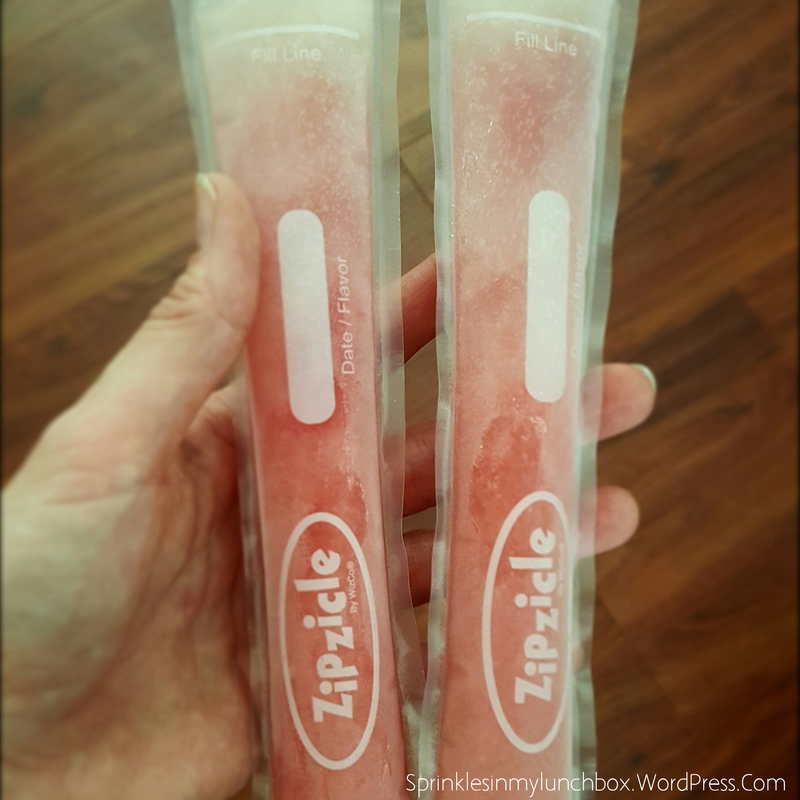 Watermelon Lime Popsicles! You need only a few ingredients, and one special tool (maybe two). Cut up a watermelon (you can use whatever size you want) and puree it. Strain it. 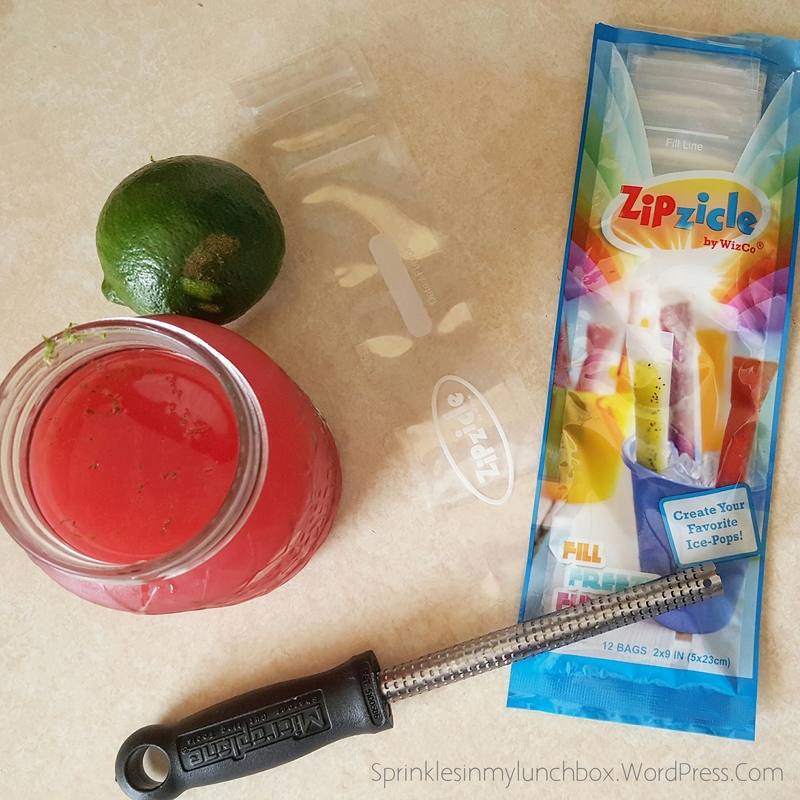 I kept the pulp and ate it, as a snack, with Tajín (a Mexican spice mix of chile, salt, and lime). Wash the lime. Zest it into your watermelon juice container. Cut the lime open and squeeze the juice from both halves into the same container. Stir the liquid and zest. 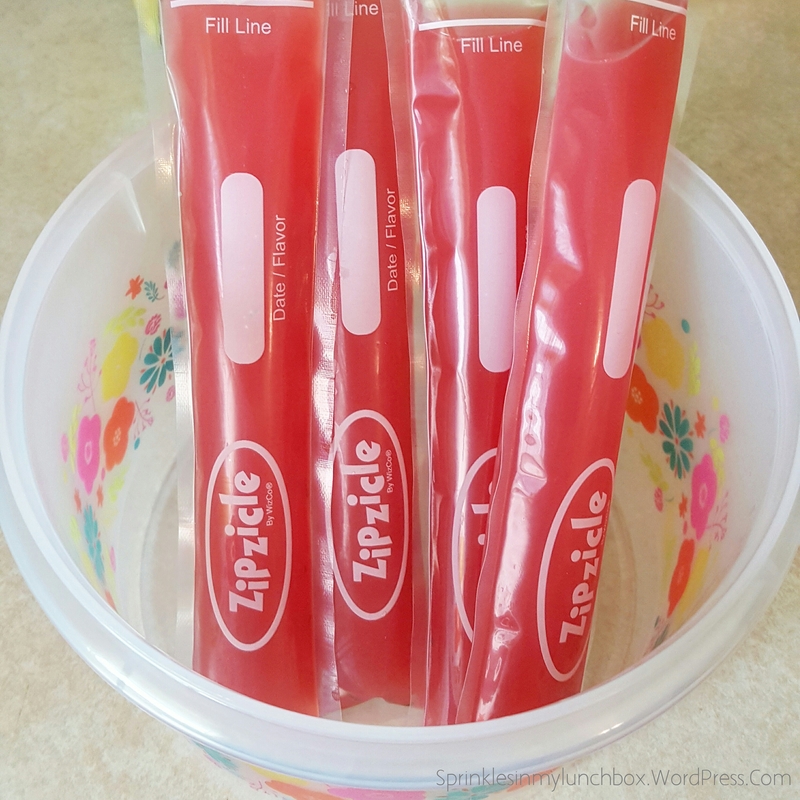 Use a funnel or a measuring cup to fill popsicle bags. Once sealed, place in the freezer for several hours. These were insanely good. You could see the beautiful lime zest in the gorgeous watermelon juice. The taste was out of this world. I had only made four (using the leftover watermelon juice from my Watermelon Cupcakes) and my boys keep asking me to make them.